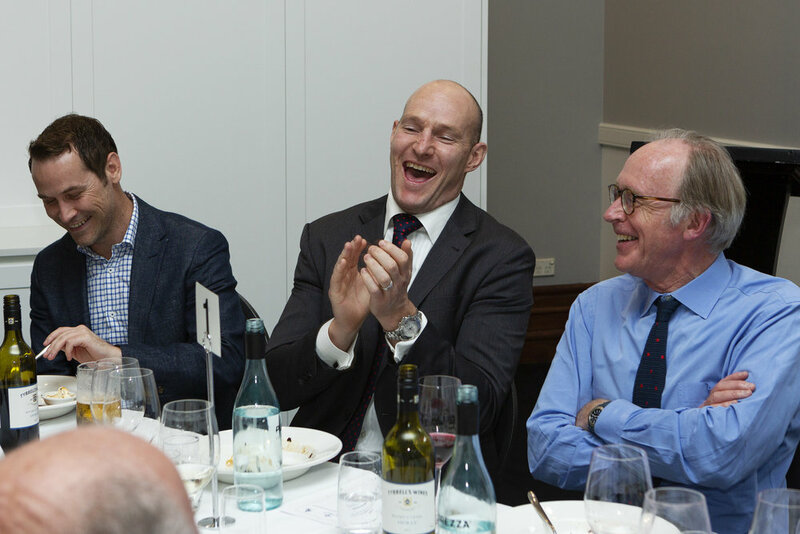 ‘Sharing the Spirit of the Game’ was indeed the order of the day at the Foundation’s sold out Annual Luncheon, as members and guests enjoyed the hospitality of Tattersalls Club whilst being entertained by a diverse and respected panel of Rugby speakers. Former Wallaby, Foundation Director and expert MC Adam Freier began the discussion, although the assembled panel of Iain Payten (respected sports journalist and Editor-In-Chief of rugby.com.au), Ian Smith (Test Match Referee and current Super Rugby TMO) and Chris Whitaker (the first man to earn 100 NSW caps and the new Assistant Waratahs Coach), together with World Cup winning Wallaby and Foundation Director Owen Finegan, soon took control of proceedings. All five gentlemen shared anecdotes and insights which were both informative and delightful for the assembled audience. 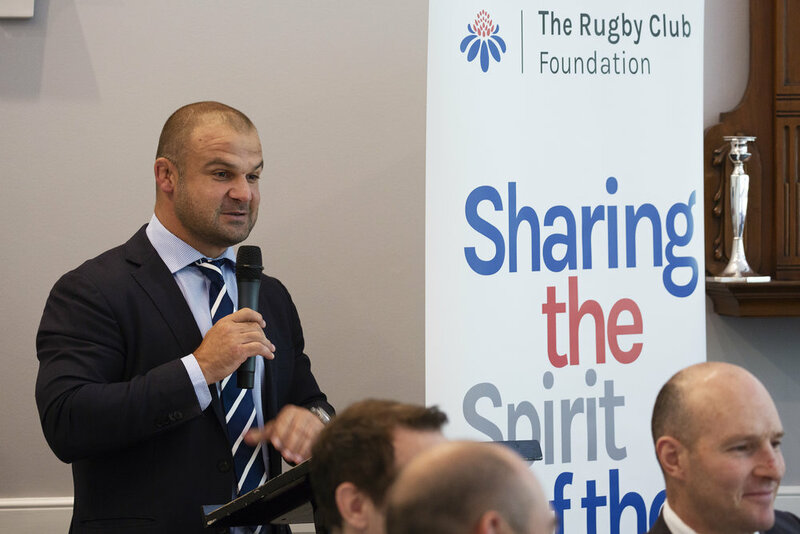 This event constituted an excellent opportunity to promote good fellowship amongst players of, and persons interested in, the game and to celebrate the support being given to grassroots Rugby by The Rugby Club Foundation.